With the widespread adoption of mLearning or mobile learning, the usage of mobile apps for learning is on an increase and for good reasons. In this article, I share 4 examples of how you can use mobile apps in corporate training. 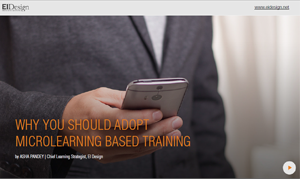 What Are Mobile Apps In Corporate Training Or Apps For Learning? Did you know that the number of mobile apps downloaded in 2017 was over 197 billion across the world? Given that, most of us use apps for various aspects every day, using it for learning makes tremendous sense. 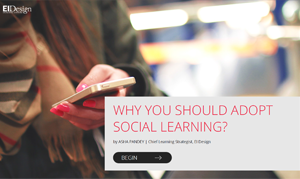 Sure enough, mobile apps or apps for learning are becoming a significant part of mLearning delivery in corporate training. 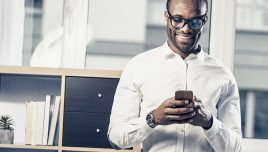 Mobile apps for corporate training provide learners flexibility to learn anywhere and anytime with the added advantage of being able to go through the learning content even when they are offline. 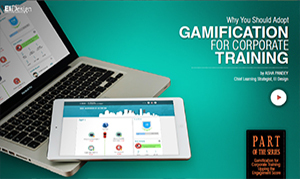 As the usage of microlearning and gamification is increasing (both for formal and informal training), there is an increase in adoption of mobile apps. 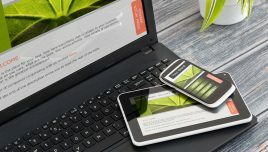 Shorter, snackable bites of content and gamified assessments provide a great opportunity to use mobile apps for learning in corporate training. Ideal for people looking for information on the move. Suited for online as well as offline viewing. Provide access to just-in-time information. Ideal for formal training, Performance Support or Instructor Led Training support. 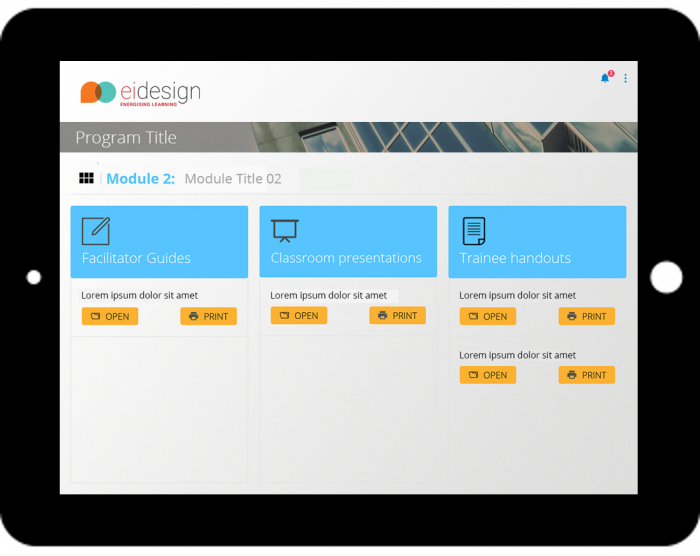 From the business point of view, they provide a great channel to push updates, new aspects, and continuously connect with the learners. The Relevance Of Mobile Apps In Corporate Training. Where Can You Find The Right Fit? 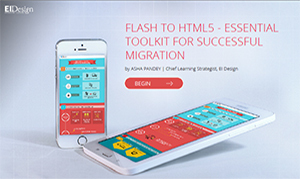 Mobile apps can be used to offer online (both formal as well as informal) training. They can be used as effectively to digitize Instructor Led Training (ILT). 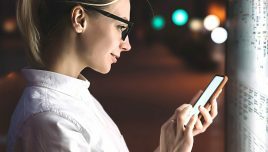 Both microlearning and gamification techniques can be used very effectively in mobile apps. 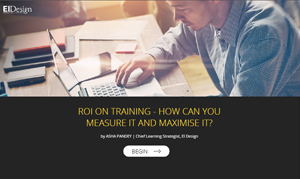 As a series of microlearning nuggets, they can be used to offer formal training. 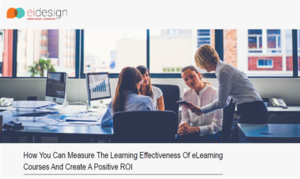 Their real impact can be felt when they are used to offer Performance Support Tools that are readily available within the learner’s work-flow to provide the required on-the-job support. They are ideal for just-in-time learning aids (such as ready reckoners, checklists, tips, and so on). They are a great fit to push data that can help learners achieve mastery (short bites that can be used to practice and achieve higher proficiency levels). Mobile apps can be easily updated and deployed quickly. Learners can be posted on the latest updates through notifications. You can also personalize the assets for each learner (based on pre-tests or surveys). Mobile apps can also be used to digitize ILT. 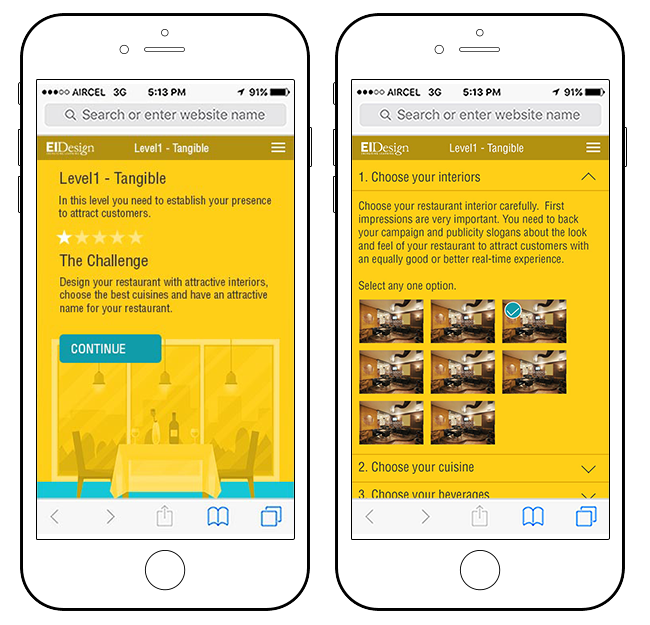 I share 4 examples that showcase how you can use mobile apps for corporate training that leverage microlearning, gamification, and personalization. These include examples of soft skills training, Performance Support Tool, gamified assessments, and reinforcements. 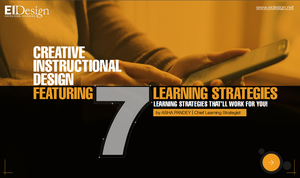 I show a unique example using a mobile app for digitizing ILT. I also share an example that features personalization and millennial centric design. 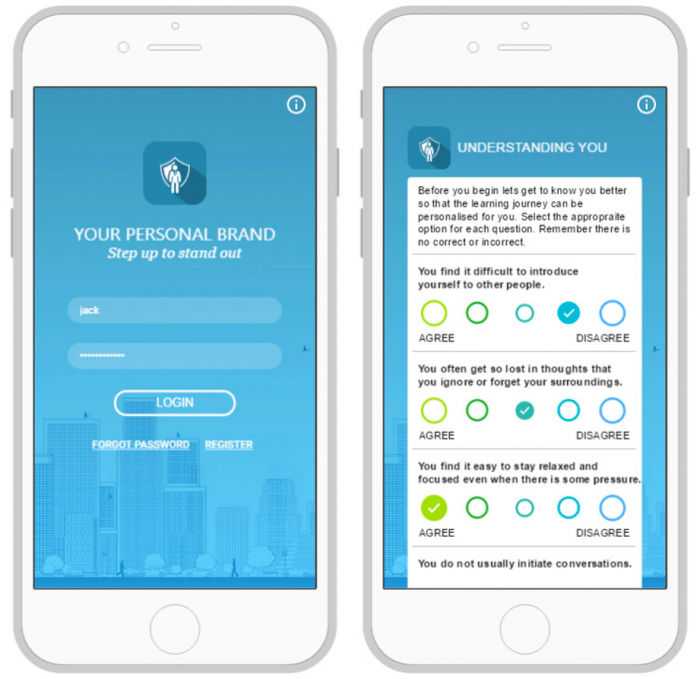 This mobile app for millennial learners is designed to help them enhance their personal skills. This mobile app is designed to support and reinforce a formal training on the same subject (managing customer expectations). Gamified challenges and assessments (that are scalable to support multiple modules and programs). Access to short job aids to reinforce learning. 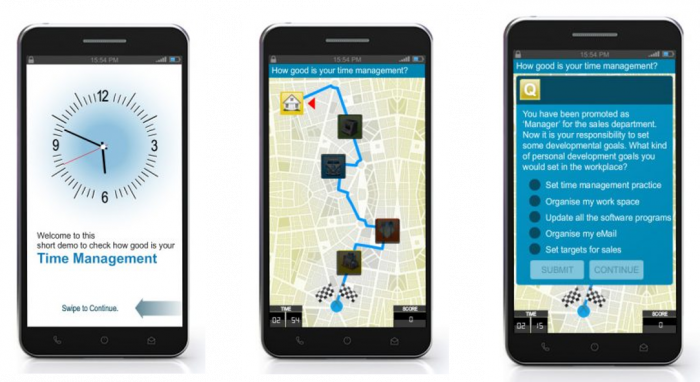 This mobile app showcases usage of an app for soft skills training. A blended approach integrating eLearning and traditional classroom training is sometimes the best way to go about workforce training. 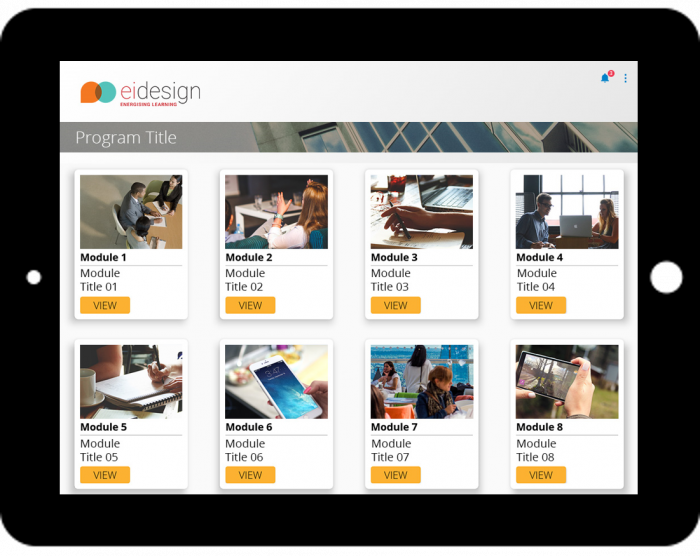 This mobile app supports an Instructor Led Training (ILT) and provides online support to the trainer as well as the participants. Support to trainers, as they can download the required online material from any training location. Trainers can use the mobile app to present ppts, download, and share PDFs for printing, and host videos too on any screen. We’ve localized the mobile app in various languages giving further flexibility to trainers and learners to pick the language of their choice. Flexibility for learners, as they can access the information pre/post or during the ILT session. Administrators can access user analytics, get insights on interaction, send notifications to new learners, and add courses. 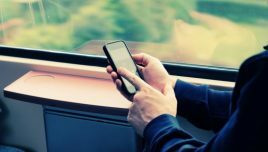 I hope this article provides insights on why you should invest in mobile apps for corporate training. The featured examples provide a glimpse of the possibilities and the impact this approach will create. If you have any queries, do contact me at apandey@eidesign.net.